Each one is unique with its own individual charm, and has electricity, windows, shelves, and bunk beds for up to ten campers. 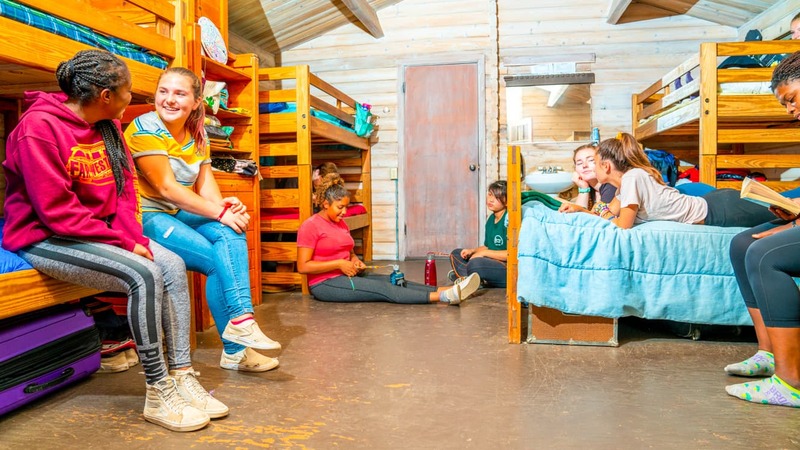 There are separate girls and boys areas on opposite sides of camp, and each of the two cabin areas have community bathrooms and showers in addition to those in some of the cabins. 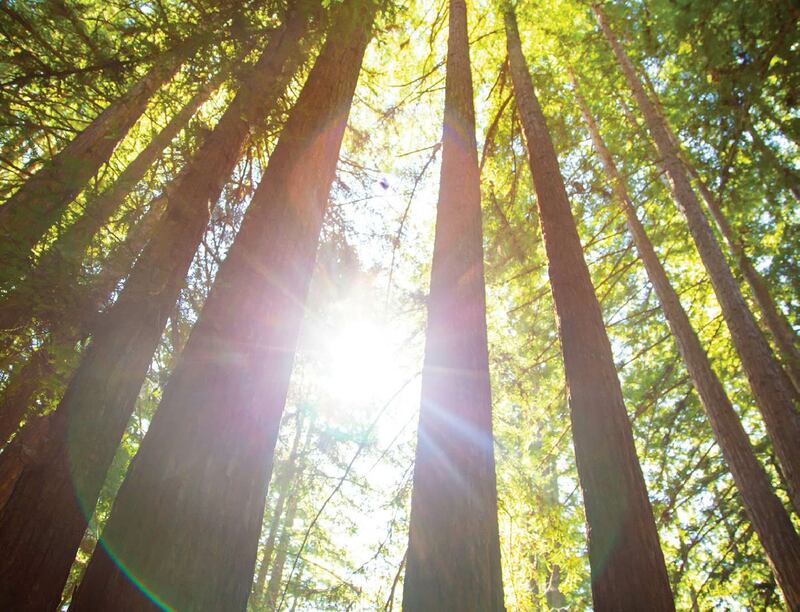 At Kennolyn Camps, Santa Cruz Mountains, a cabin is more than just a place to sleep, however, it’s a family! 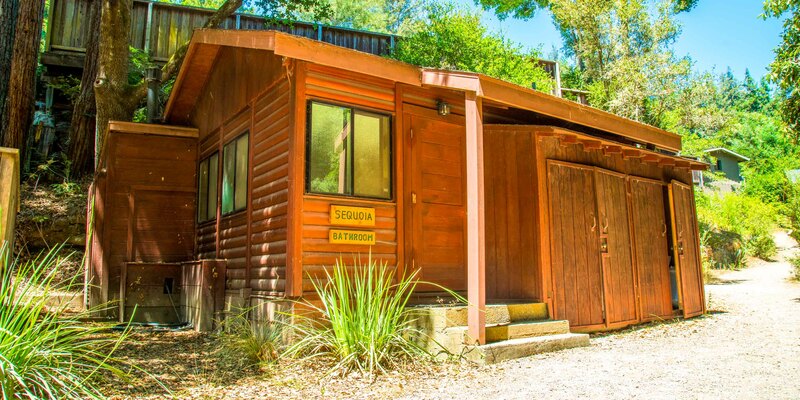 Our comfy cabins are home away from home for campers. Each cabin family (usually 6-10 campers) has 2 counselors who act as big brothers or sisters. Except during activities, cabin families do everything together like sharing meals, performing skits at campfire, exploring the beach, and camping overnight in the woods. 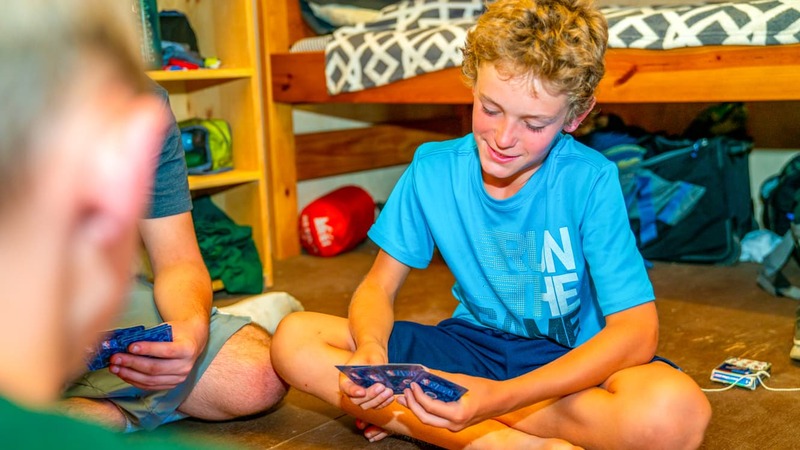 Our campers take great pride in keeping their cabins clean, and compete for the coveted Golden Sponge Award, top honors presented to one boy’s cabin and one girl’s cabin at final campfire each session. What a wonderful way to learn responsibility, order and the spirit of cooperation! Some cabins have a bathroom in the cabin others share central bathrooms. All bathrooms are clean and well lighted with hot water, electricity, and modern fittings. The bonds formed at camp are powerful, and living in a cabin group is a great way to make lasting friendships while taking steps toward independence. Although not required, many campers like to come to camp with a friend. If you are interested in making a Cabin Mate Request please fill out the special form in your camper application. We will do our best to honor requests when possible.